In the information age, smart people are no longer a differentiator. Inspired and committed smart people are! A huge responsibility of leaders in any organization is to create a culture that compels people to go beyond simply complying and doing their job, to offering up their full commitment and discretionary effort. In the words of Dave Hannah, “All organizations are perfectly designed to get the results they get.” So, if you want to sustainably improve the results of an organization and improve its viability, you must work to transform the culture into one in which everyone is inspired to be fully engaged. In manufacturing, where there are so many moving parts and the majority of the work does not involve the next exciting initiative, but seemingly mundane execution and improvement of daily processes, it is easy for team members to lose touch with the greater purpose and view themselves as only small, insignificant cogs in the wheel. 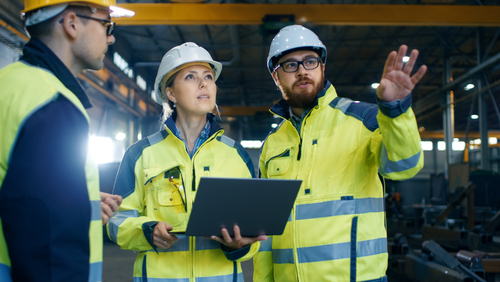 That is why it is so critical for manufacturing leaders to not only equip their teams with the right tool sets and skill sets, but also model the right mindset and equip team members to embrace the mindset of transformative leadership. Creating a culture of engagement starts with an unrelenting commitment to actively work on multiple fronts to earn trust, encourage camaraderie and collaboration, and instill a sense of pride in the organization. The work must involve a comprehensive approach to modify the system’s organizational design features, such as how information is shared, how decisions are made, and what skills and contributions people are rewarded for. It also requires a relentless commitment to developing leadership capability at all levels of the organization. The leader must declare themselves the greatest barrier to success. Leaders must recognize the difference between change and transformation. The former is about solving problems; the latter is about creating a continuous shift. Leadership must break down silos, and model and expect collaboration. The most powerful way to shift the culture of an organization is to alter its language. Nurture the whole person and a more productive employee will emerge.